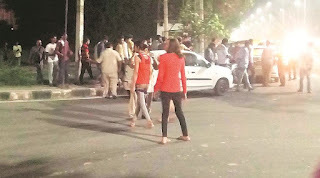 A police party headed by Sub-Inspector was attacked when they tried to stop a group of six transgenders from creating a ruckus on the road dividing sectors 52 and 43 near ISBT-43 on Saturday night. They also tore clothes of a taxi driver who recorded the incident on his cell phone. The incident happened around 11.30 pm when the police party headed by Sub-Inspector Chander Singh, incharge of ISBT-43 police post, went to the spot after receiving a call from the police control room about some transgenders creating a ruckus. While a transgender scratched S-I Chander Singh’s face with nails, another hit his head with a stone. A woman constable, Sweety Sharma, was injured in the attack when she tried to save the S-I. Later, two transgenders were assaulted by taxi drivers. Hundreds of people, including taxi drivers, assembled near the ISBT-43 police post, which is situated on the bus stand premises, demanding legal action against the transgenders. Three of them were brought to the police post but no FIR was registered. A case of preventive action under sections 107/150 of the CrPC was registered against three transgenders identified as Shanti, Sahiba and Tulsi, residents of Kajheri village in Sector 52, at the Sector 36 police station. Sources at ISBT-43 police post said hundreds of people had gathered near the police post with an intention to hit the transgenders. SI Om Parkash, incharge of Sector 61 police post, rushed to the spot with additional force. Nuisance by transgenders has become a routine thing in this area. 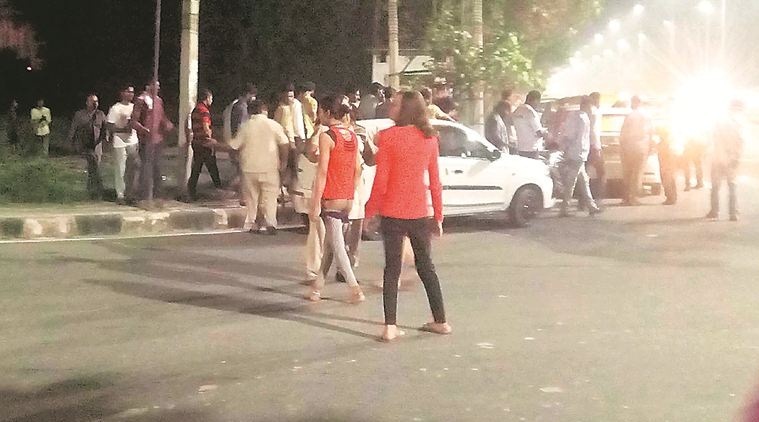 On Sunday, a group of transgenders approached ISBT-43 and claimed that six transgenders, who created the ruckus on Saturday night, were not the genuine transgenders.